Alcarondas means 'Castle of the Sea' in Adúnaic and well does this ship suit its name: Mutiple masts like towers, raised decks like small fortresses at both prow and stern, with archers and highly trained mariners to defend her 'walls'. Yet she is not cumbersome but fast and relatively quick to turn in battle. An Alcarondas is only outclassed by those vessels crafted by the Elven shipwrights of the Lindons - and they are few and far between. 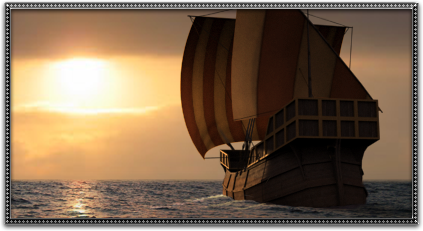 Not even a Corsair Marauder can outmatch this glorious sea-going vessel, this floating monument to the Dúnedain's maritime heritage! A great warship for long voyages of exploration. A Dockyard allows the construction of larger ships, and improves trade.